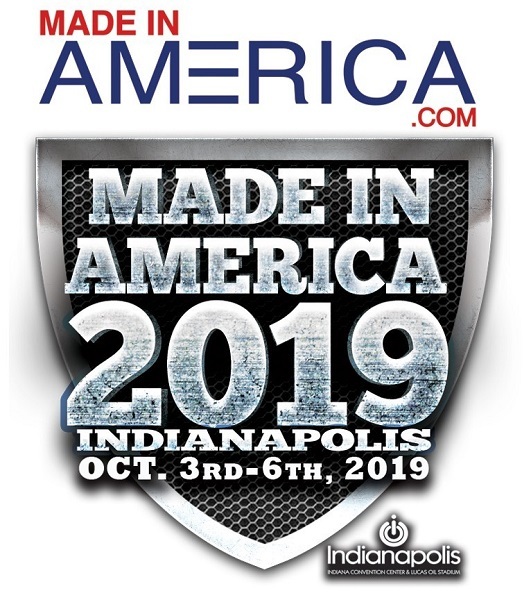 Made In America 2019 will bring together American professionals of all backgrounds at the Indiana Convention Center in Indianapolis, Oct. 3-6, 2019. The event will be the largest collection of American-made products and manufacturing companies ever assembled under one roof. The four-day exposition will feature more than 800 exhibitors and an expected 30,000 attendees, all with the common goal of growing American manufacturing. Together, this network of industrial professionals, conscious consumers and keynote speakers plans to raise awareness for the economic, environmental and community impact of U.S. manufacturing. The trade show will feature a variety of brands and products, from textile to transportation to aerospace. MetroSteelUSA.com is a founding sponsor, along with other quality American brands like Ashland Technologies. “We’re thrilled to be at the beginning stages of something that is going to be one of the biggest waves this country has ever seen,” says Bill Wydra of Ashland Technologies, who recently manufactured trains for roller coasters in Six Flags and SeaWorld. Skybolt Aerospace Fasteners will also be in attendance to exhibit their aerospace fasteners that are used by NASA in space and by NASCAR on the race rack. Liberty Tabletop, which was featured at the White House Made In America Week and is the only U.S. made silverware company, will also be an exhibitor. The 450,000-sq-ft of trade show space will be open from Friday morning through Sunday evening. The kickoff show will take place on Thursday, Oct. 3, 2019. This night will include live performances by top-selling American billboard artists and keynote speakers. Friday evening will highlight the past, present and future of American manufacturing. Saturday’s closing event will be the first annual “Made in America Awards” to honor the importance of U.S. manufacturing and to recognize the accomplishments of American production heroes, the heart and soul of homegrown manufacturing. Speakers include Harry Moser, founder of the Reshoring Initiative, which helps companies bring jobs back to the U.S.
To learn more about exhibiting your American-made machines or products at this historic event or to join the movement to keep America on track to be the #1 manufacturer in the world, please visit MadeInAmerica.com.